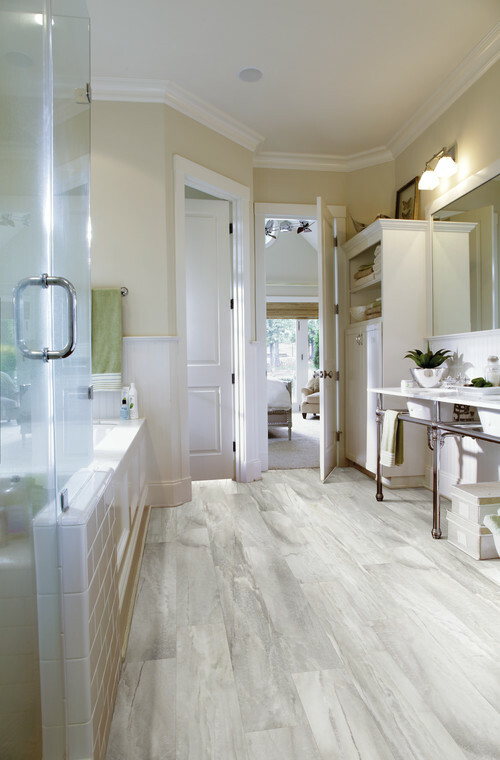 No flooring is perfect, but with cutting-edge innovations in technology and beauty, LVP (a.k.a. luxury vinyl plank) comes pretty close! At Crystal Carpet & Flooring Company, we’ve shared the pros and cons of different flooring options before — carpet remnants, bamboo flooring, and shag rugs each come with their own benefits and considerations. But when it comes to LVP, we want to share all of the pros with you. Here are 6 reasons why LVP is the perfect flooring. 1. LVP is highly durable. Made with a high-density fiberboard core and PVC vinyl, LVP flooring is stable yet flexible, making it an ideal choice for high-traffic family homes and bustling commercial spaces (learn more about its construction here). 2. It’s got good looks, too. LVP is produced with advanced photo-technology which enables it to masterfully imitate the finest flooring options, from rustic hardwood planks to Italian marble and granite. 3. LVP won’t break the bank. Unlike the top-dollar flooring it imitates, LVP is an affordable flooring option. For a fraction of the price, you can get the beautiful flooring you’ve always wanted — just call it flooring 2.0. 4. It comes with really easy upkeep. Unlike hardwood floors, LVP requires no waxing, polishing, or finishing (in fact, doing so could wear off its protective wear layer). Unlike stone, there’s no need for resealing, either. Upkeep for LVP is as simple as the occasional vacuuming and mopping. 5. LVP won’t bend, warp, or break. While natural hardwoods have a shortened lifespan in coastal North Carolina, LVP is an ideal flooring solution for getaways like Wrightsville Beach and Surf City. Unlike natural wood flooring, LVP won’t warp over time due to the heat and humidity in our ever-changing coastal climate. Even better? LVP is available in water-resistant and even waterproof styles. 6. Your options are not limited with LVP. You’d think that the inventory for flooring with so many advanced features would be limited, but there are hundreds of customization options for LVP flooring. 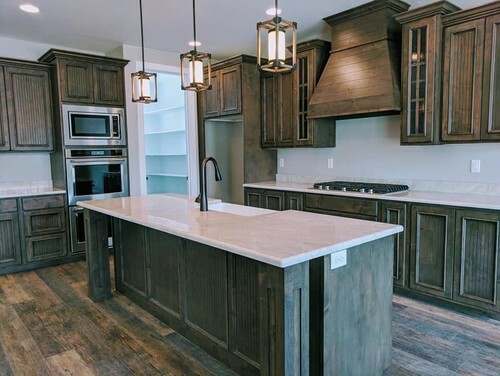 Luxury vinyl planks are available in dozens of wood grain and stone styles, colors, finishes, and textures. Beyond this, you can choose multi-shade variegated planks, reclaimed wood-style planks, and even vintage-look planks. LVP: Pretty Close to Perfect. Whether you prefer coastal contemporary light wood planks for your beach house, traditional hardwood look for your downtown Wilmington home, or something in between, we’ll help you find the best LVP flooring option for your space. Take a look at our LVP gallery, come by our showroom, or give us a call to get started.